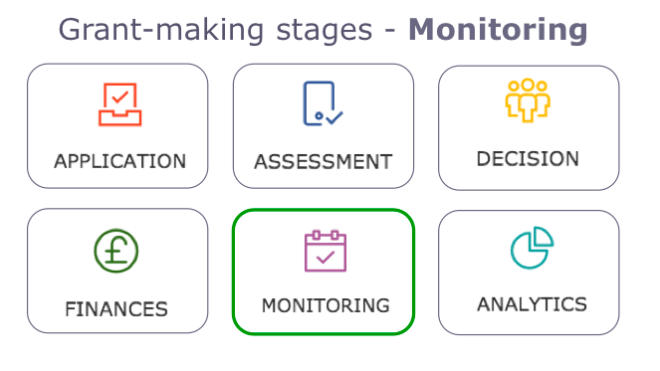 This blog, part 5 in our series on how to transform your grant-making on Salesforce, we are looking at grant monitoring. By this term, I am referring to the ongoing reporting that is required from a grantee to allow funders to evaluate the impact and importantly, to ensure that the agreed outcomes are met. 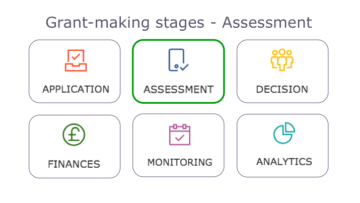 During my many years speaking to a wide range of grant managers, the process of requesting and chasing progress reports can be one of the most time-consuming tasks. With Salesforce, the entire process can be streamlined by setting up online monitoring forms, automated processes and where relevant, controlling the release of payments. The entire process to request grant reports and issue reminders if they have not been received can be automated on Salesforce – saving a huge amount of time. 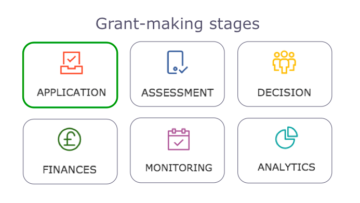 All of our grant-makers for whom we have set up automated monitoring processes have reported a huge save in time and an increase in those submitted on time. This framework also provides the flexibility to link some requirements to payments but not others. So, now that the monitoring data is flowing in to Salesforce, you can take advantage of the methods of data output; list views, reports and dashboards to track, slice and dice the information. Analytics will be the topic of the final blog in this series.